This makes me smile. Thank you. Hey, that was pretty darn sentimental. Just because it's not syrupy sweet doesn't mean it's not sincere! I have become much more emotional since giving birth, but I still don't think pregnancy is as glorious as some people seem to find it. Feeling Clementine move was probably my favourite part of pregnancy. And I'm not overly sentimental either. 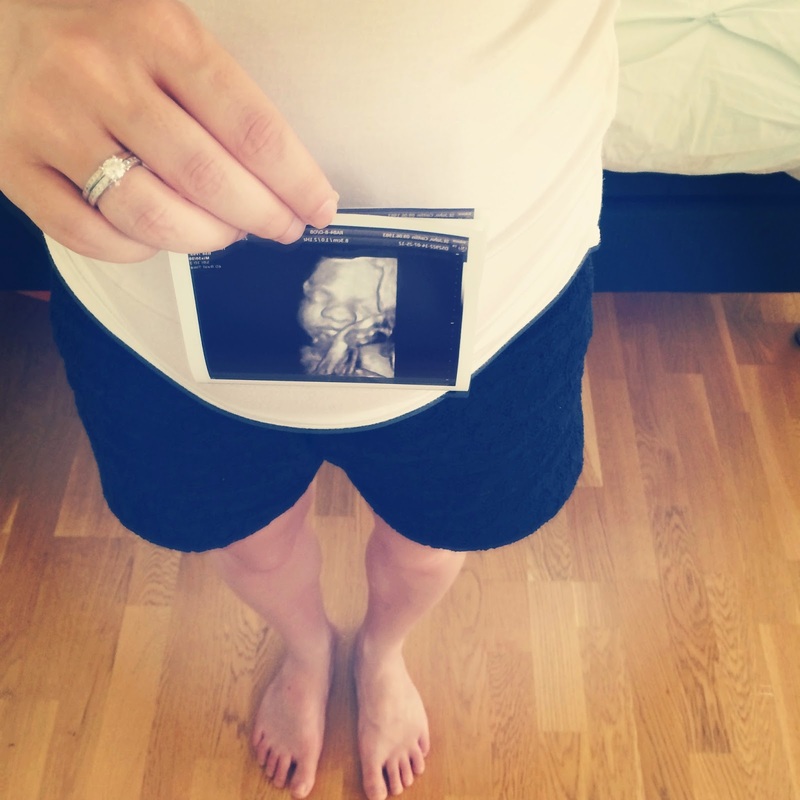 I thought I would cry at my ultrasound (I only had one) but I didn't, and neither did my husband. I did cry, however, when she was born. Like, there were some serious waterworks! p.s. You should try to film some of your belly movements! I have a bunch of little iPhone videos from my pregnancy that I love watching now. I have filmed a couple of movements although it always seems that when I pull out my iPhone, he gets ridiculously still. Camera shy in the womb I guess? You had me laughing outloud as you wrote about being sentimental. Especially the part about sifting through the clothes with tears in your eyes. Too funny because I've totally been there. Thanks, hormones! You and your precious baby look beautiful and it's so fun to read your updates. So many congratulations to you and your husband! !